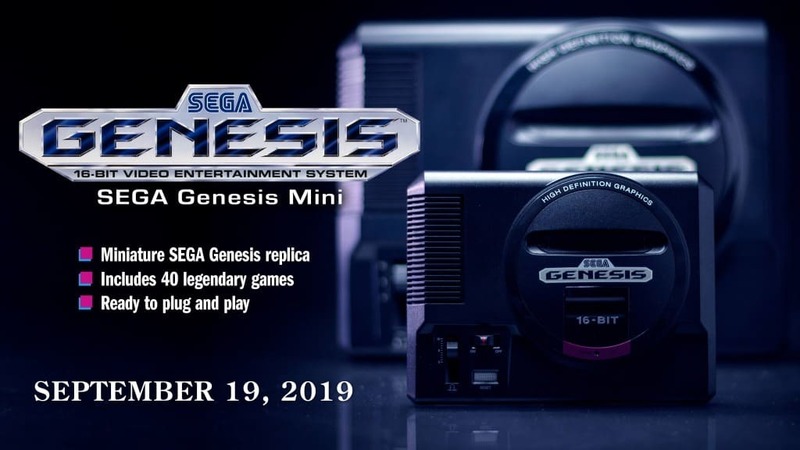 Sega revealed this week that it will release a "mini-console" called the Sega Genesis Mini on September 19, 2019. Sega Genesis was the name of Sega's 16-bit console in the United States; the console's name was Sega Mega Drive in Europe and other regions. The company plans to release the system as Sega Genesis Mini and as Sega Mega Drive Mini; the release name depends on the region and seems to be the only difference between the two systems. Nintendo launched the first first-party mini console, the NES Mini, and it was a smash hit. The company launched the SNES Classic which was a success for Nintendo as well even though the company missed an opportunity with the release (in my opinion). Sony's Playstation Classic console was not as successful which mostly came down to the weak game lineup the console shipped with and how emulation was done. And Sega? Nintendo's big rival back in the days plans to release the first-party Sega Genesis Mini / Sega Mega Drive Mini in September 2019. Third-party licensed Sega Genesis / Mega Drive consoles have been available for some time but they never managed to meet customer expectations (lots of games, bad emulation). Current time: 20 April 19, 10:57 Powered By MyBB, © 2002-2019 MyBB Group.